How Is National Dental Academy Different? 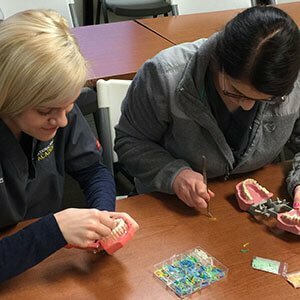 The National Dental Academy curriculum is built on national standards and tailored locally to the program near you based on input from busy dental practitioners about the skills they’re looking for in dental assistants. NDA is dedicated to staying current on the standards and dental practice trends around the country, regularly reviewing and updating our curriculum in order to best prepare you for a successful career. 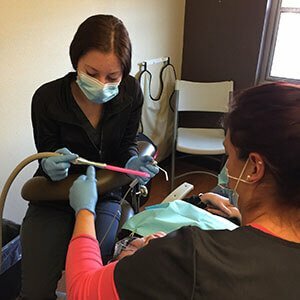 National Dental Academy’s dental assisting program is different from most vocational schools because it allows you to receive your training in a dental office located near you. Our dental assistant program instructors are also local, often selected from the same dental practice where you receive your education. We hope National Dental Academy will fit your lifestyle, your schedule, and your career goals, but what about your finances? To a lot of students, finances are the most important consideration. National Center for Education Statistics states that a 2-year degree from a traditional college can cost nearly $9,000. A local example, as of March 2016, dental assistant classes with books and supplies at Northeast Wisconsin Technical College in Green Bay cost around $7,100. Dental Academy’s streamlined 10-week dental assisting program costs only $4,995 and includes EVERYTHING. To make things even easier, NDA offers accommodating payment schedules as well as financing options to help you afford an investment in your future. A Certificate of Achievement in dental assisting from National Dental Academy will give you a competitive advantage over applicants who might require extensive on-the-job training. This also means that your starting pay will likely be higher. All National Dental Assisting Programs are STATE APPROVED to instruct Dental Assisting and have to adhere to strict State Rules and Regulations. The current median salary for dental assistants in the US is $34,000. Qualified, experienced dental assistants can make even more! National Dental Academy graduates are prepared for important chair-side roles in busy dental practices. 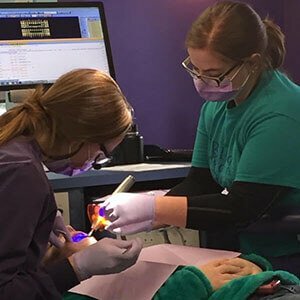 Dental assisting can also serve as an excellent foundation for dental hygiene, practice management, and other exciting dental or health care roles. Take your career as far as you want in the direction that’s best for you. Start with a Certificate of Achievement in dental assisting from National Dental Academy.